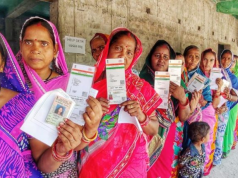 Report by Akshya Rout; Jajpur: The remote village Nagada in Jajpur district was connected with bus service on Friday by the district administration. 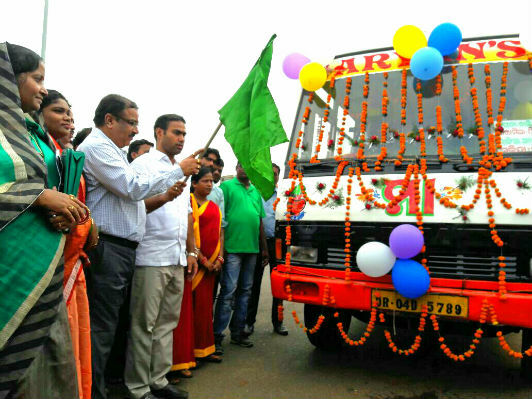 Sukinda MLA Pritiranjan Ghadei and the district collector Ranjan kumar das flagged off the bus at Duburi Chhack on Friday in a simple function. Large numbers of tribals welcomed the arrival of the bus at Nagada on Friday by dancing and beating of drums . In the wake of the death of 19 Juang children last year , the authorities did many developmental works in Nagada and its nearby areas. 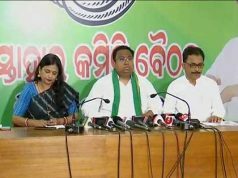 The bus service will help the villagers of Nagada, Talanagada Tumuni and other nearby villages with a population of four thousand “, said the MLA Ghadei. Earlier , the government provided solar lights, water filters and health facilities in these remote area to improve the lives of malnourished children of Nagada area. 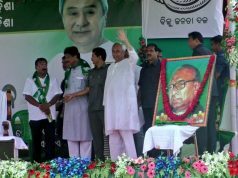 The bus will move between Chandikhol and Nagada via Sukinda and the Kalinganagar Industrial area.